The Patagonian Mara is a rather large species of rodent that lives in South America. 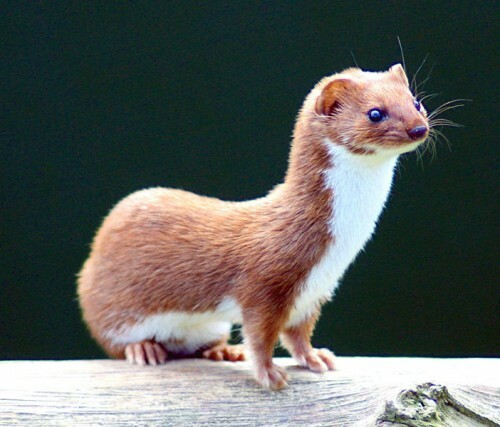 The animal holds a close resemblance to a rabbit, having long, straight ears and slender paws. Unlike many other rodents, the Maras form constant pairs and these pairs sometimes stay together for their whole lives. 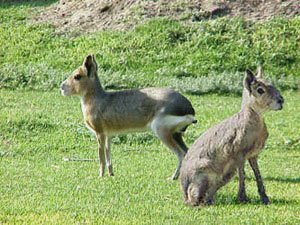 The Patagonian Mara’s body reaches a length of 70-75 cm, with a body mass of a bit less than ten kilograms. The extremities are long and slim, and the hind feet are longer than the forefeet. The male’s back is covered with grayish brown fur, with a rusty brown underside, while the female’s colouration is dominated by gray and the females are generally less bright. 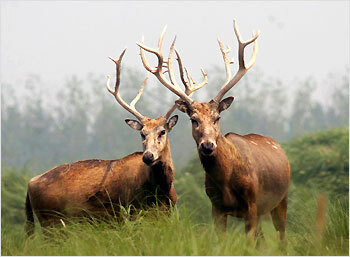 These animals live in large, open, grassy territories with few bushes. They are active only during the day, and at night they sleep hidden deep inside an underground cave. They’re quite unsocial and the male Mara won’t permit any other specimen in the territory, except for his partner. An exception is the time when the young are being raised – at this period, up to 15 pairs of Patagonian Maras can live in a single cave. Patagonian Maras feed mostly on grass and they often make great distances in search of fresh food. They don’t require much water, thus they can drink fairly seldom. Although the Maras don’t mark their territories, they try to avoid other members of their kin. If another pair moves closer, the Maras will often choose to go away, in search for other areas rich in vegetation, because they don’t like sharing pastures. Again, an exception is when the animals have found a truly rich pasture, where they know they wouldn’t be starving even if other pairs move in, for instance recently dried lakes. The male reaches sexual maturity at the age of six months. The female, however, can mate already two months after birth. The animals usually form permanent pairs. The male is very attentive, firstly to guard the female and secondly because the female can mate only twice a year and even then, the time window is only a few hours. After a gestation of about 3 months, the female gives birth to 1-3 well-developed babies. Their first test is to enter their parents’ cave without help. 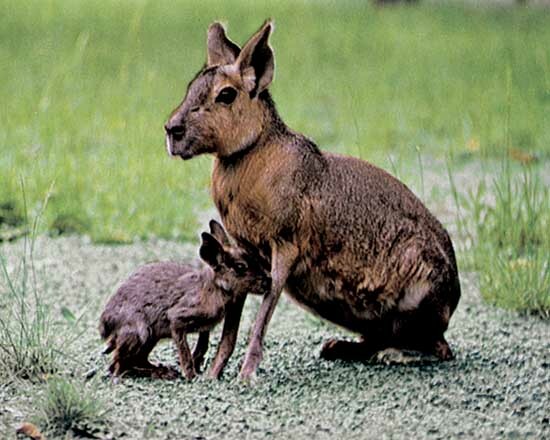 Young Patagonian Maras are fed with milk once or twice a day, for more than three months. If multiple pairs bring their young up together, a female only feeds her children, identifying them by smell. The males guard the entrance to the cave and later accompanies the young in their first walks around the territory. Each pair uses a cave for up to 4 years, before moving to a new one. The total life expectancy of these animals reaches up to 15 years.